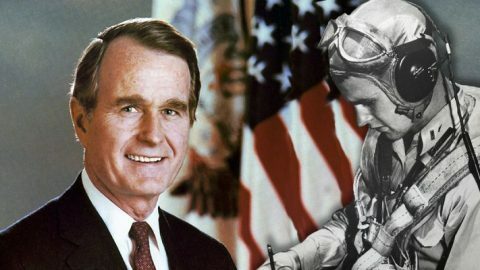 After a long renowned life, President George Bush passed away recently at age 94 due to complications with vascular Parkinsonism. Remembered for his time as our 41st President but should be remembered for his heroism in World War II. Narrowly surviving an attack and not knowing what happened of his lost comrades but decades later he learned their fate. 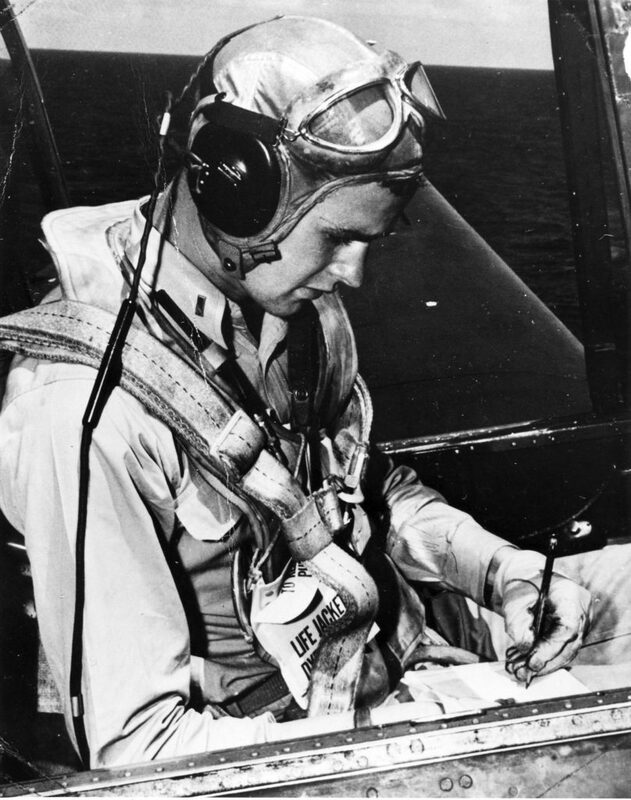 George Bush was a senior in high school on December 7th, 1941 when he learned of the Pearl Harbor attack. He joined the US Navy and as one of the youngest aviators to serving during World War II. Records showed him to be an average pilot with “eccentric qualities” and later dispatched to the Pacific Theater of War. 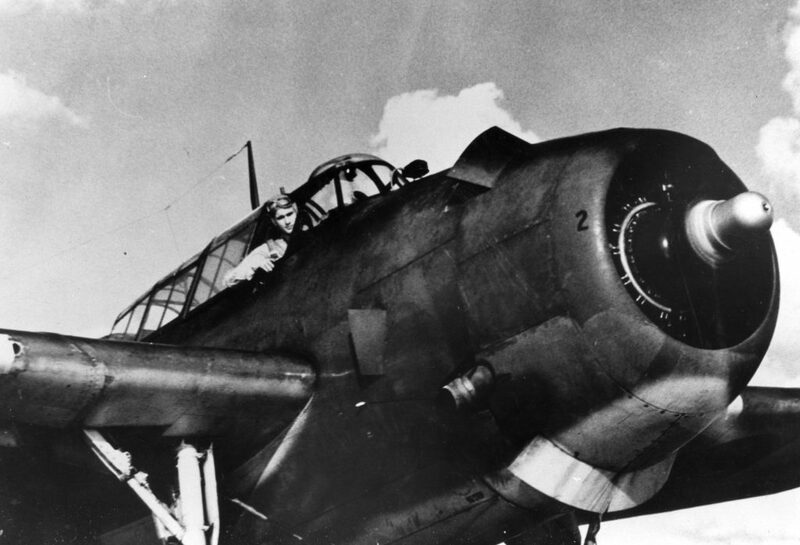 On September 2, 1944, Lieutenant Bush flew a TBM Avenger conducting an attack on a Japanese radio tower. The target was located on the island of Chichijima, which was still heavily defended. Their torpedo bomber came under fire from anti-air guns and sustained major damage. The Avenger fell at a 35-degree angle and Lieutenant Bush turned so everyone could bail safely. Parachuting away from his comrades as he landed in the ocean and took hold of a life raft. His partners were nowhere in sight, but as luck would have it a submarine emerged to rescue him. In 2003, after years of detective work investigating war crimes, author James Bradley met with former President Bush. 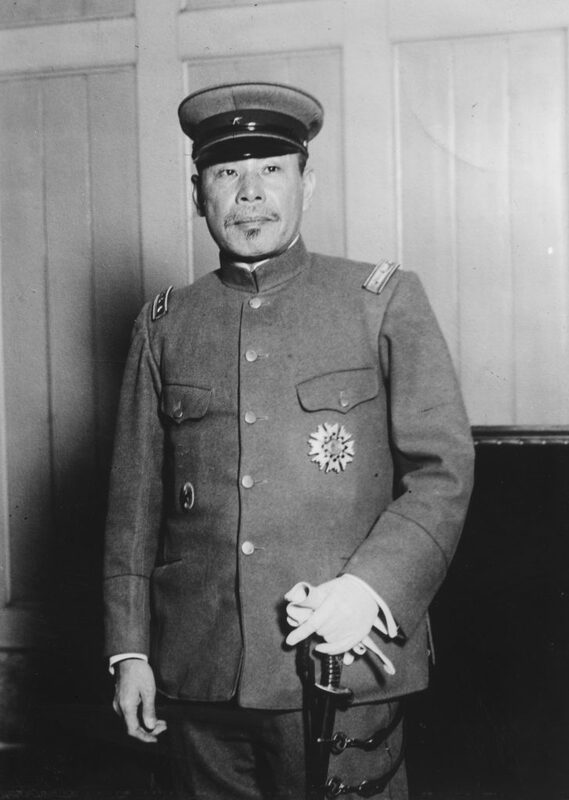 He revealed that his comrades had been captured by the forces of Imperial Japan and met with horrendous fate. Lieutenant Bush’s fellow airmen had been beaten, tortured and then cannibalized. Japanese army surgeons removed their livers and thigh muscles to be served to officers in a celebratory feast. These details were confirmed during war crime trials on Guam and those involved were executed. A simple twist of fate, changed history knowing that President Bush could have been a meal for sadistic war criminals. Rare Earth travels to Chichijima to retell the story of the fateful day and a horrible fate of innocent airmen.